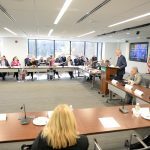 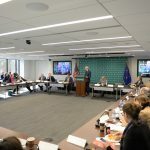 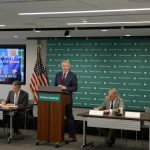 On November 28, AICGS and the Hudson Institute convened a half-day conference on “Trade and National Security: Can We Have Too Much of a Good Thing?” Against the backdrop of the Trump Administration’s imposition of Section 232 tariffs on steel and aluminum and stepped up foreign investment screening in the U.S. and Europe, participants examined the uses – and misuses – of trade policy as a means to advance foreign and security policy objectives. 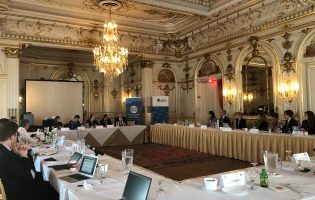 The challenge of addressing authentic national security concerns while preserving alliances and an open trading system was a key focus of the conference. 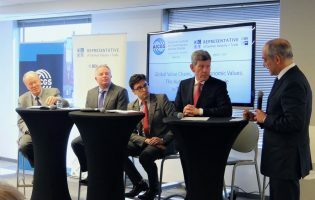 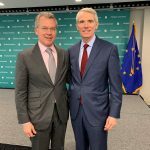 After two closed-door sessions on “What Trade Policy Can and Cannot Do to Advance Transatlantic Interests” and “Domestic Economic Policies and National Security,” Senator Rob Portman (R-OH) and Ambassador of the European Union to the United States David O’Sullivan delivered keynote remarks. 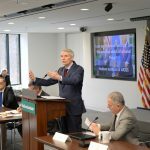 This conference built on ongoing work by both AICGS and the Hudson Institute on international trade and investment issues. 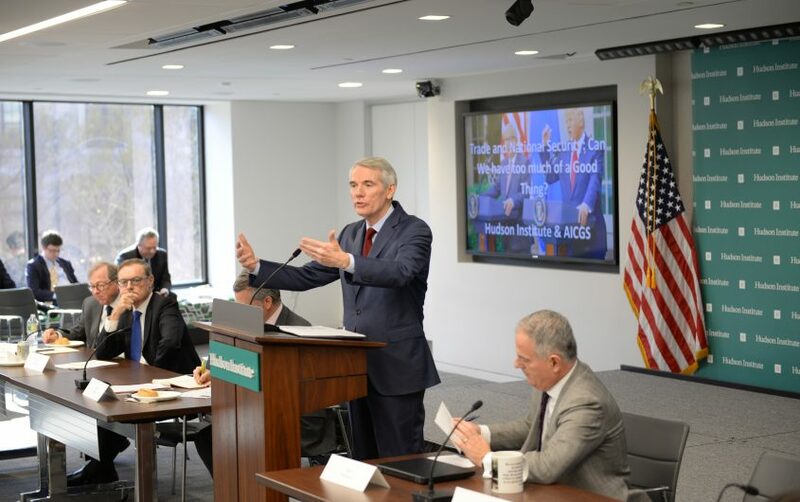 Click here to read Senator Portman’s remarks.